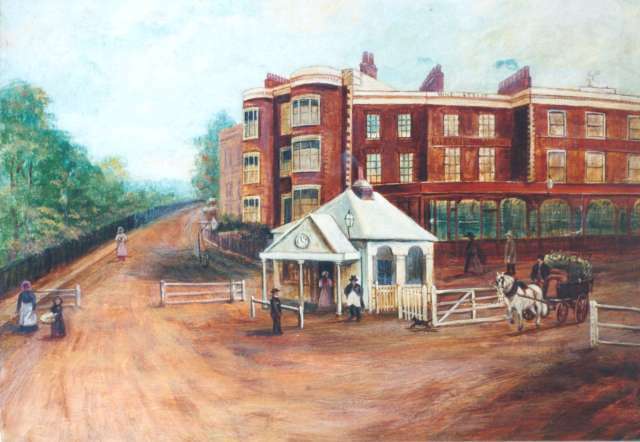 The New Cross turnpike gate, where tolls were collected from traffic using the New Cross Road (on the route from London to Dover). 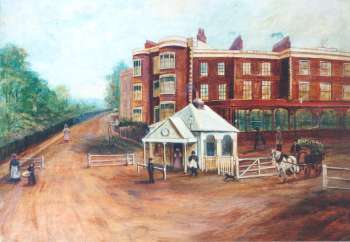 Looking east along Queen's Road with the White Hart public house at the rear. Oil painting by unknown artist, c.1850.